International moving means moving from one country to another. 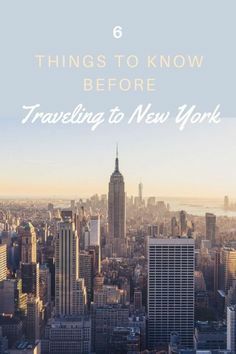 They are more complicated than moving away from the same country, or in the same city, just because one or more interstate borders are crossing. 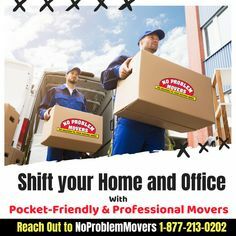 International moving is definitely a specific type of service because all the necessary documentation needs to be obtained and a detailed moving plan has to be made. If everything is done properly, the chance of some unpleasant surprise at the border is reduced to a minimum. Our agency has a lot of experience, knowledge and technical capabilities to do this rather serious business. For this reason, for over fifty years there has been an international association of movers. It is a global-level Association that provides logistics, shipping, forwarding moving and related services. The International Association of Movers (IAM) was originally established by the charter companies that operated with the US government at the time, and now it is the largest trade Association operating internationally. This Association brings together over one hundred and seventy countries and represents more than two thousand companies in them. All companies that are part of this Association must comply with a code which encourages avoidance of unfair competition among members, encourages tolerance of all cultural differences, and promotes professional approach. It is necessary to know that for an international transport there are various supporting documents that you will need – extracting necessary permits; monitoring of customs and procedures in countries through which goods enter, transit and exit (to mention only phytosanitary inspection which knows that it completely stops trucks at the border); payment of various taxes and charges and other tensions with customs and other services. 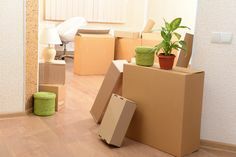 For moving abroad, each packing box or piece of furniture should be marked with appropriate labels, which will be entered in the list of moving items on a regular basis. Cardboard boxes after closing must be visibly marked with numbers and their contents. The number, of course, must match the number in the list of things. This applies to conventional moving things such as wardrobes, dishes, appliances, and more. What many do not know and where they are wrong and are often surprised is t hat books, artwork and other valuables must be approved by the authority responsible for review and evaluation. But each country is a story for itself, the rules vary from country to state, what is valid for one is not valid for another. It is not easy for anyone to stay on the border for a few days, so time and money, as well as nerves, are lost. Enjoy yourself and hire experienced professionals who have a daily tour of a few tours and crossing borders. The laws of the countries in the world are different in many things. One of these things is in what way and under what conditions certain countries release personal goods to enter the territory of their country or leave it. That is why The International Association of Movers is important. On their site, you can find a list of all countries in the world. By clicking on the country you want, you get detailed instructions on what you need from the documentation, what laws are important there, and how all your items must be packaged and with what documentation, so that they can enter or leave that country. The manual also contains a detailed description of how much your goods will be kept at customs and why. That is why we are proud to be a part of The International Association of Movers. For us, it means that we have resources, and partners that are there to help us all international movings go smoothly. For our clients, it means that they can trust us and that they are protected. This kind of trust is quite important when someone is entrusting you with all material things they have in this world and is paying you to take those things across the border. That is why we don’t stand alone. Behind us are not just numerous clients but other companies too, along with The International Association of Movers.